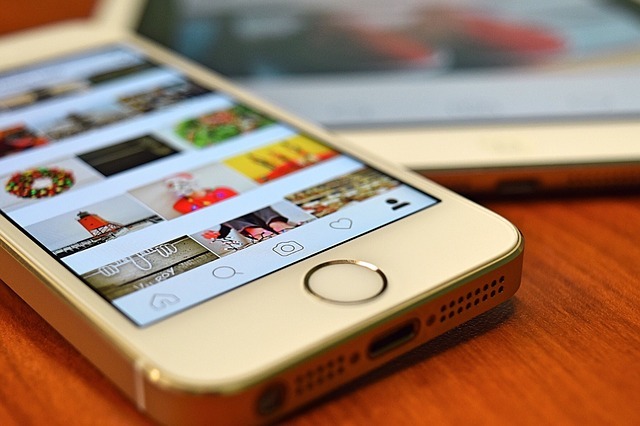 If you’re a social media addict, you may face steeper penalties for checking your Instagram in Washington State later this year. That’s because both Republican Senator Ann Rivers and Democratic State Representative Jessyn Farrell have just finished a new draft of a bill they call the “Driving Under the Influence of Electronics Act.” Both Farrell and Rivers believe momentum is on their side this year and this bill will become the law of the land. This bill, officially known as HB 1371, would put a ban on using cell phones either for talking or texting in the Evergreen State. In the current iteration of the bill, Rivers and Farrell want to increase the fine for using a cell phone while driving from $124 to $350. They also want all of this data to be put on a person’s permanent insurance record. The only thing River and Farrell will legally allow in this bill is the use of Bluetooth hands-free technology. An earlier version of this bill did pass the Washington Senate 35-14 in 2015, but it was killed in the House. Critics in the House claimed that the bill needed to focus more on the negligent drivers than on the distracting technology. After re-working the bill throughout 2016, both Rivers and Farrell feel it has a real chance of passing into law in 2017. Distracted driving is now considered a major public safety issue. The National Safety Council (NSC) reported that 3,477 traffic deaths in the USA could be linked directly to distracted driving as of 2015. That’s a 9 percent increase from 2014. And the numbers are only getting worse as the years wane on. Washington State alone saw fatalities related to distracted-driving rise from 130 in 2014 to 556 in 2016. To remind Washington lawmakers of the devastating toll distracted driving has on the community, a few family members who have lost loved ones due to a distracted driver will testify in Olympia. Just one prominent family expected to offer support for this bill is the family of 23-year-old Cody Meyer. Meyer, who worked as a construction flagger in Issaquah, was run over by a driver checking his smartphone last December. Cody’s family and many other safety advocates have been reminding the local community that distracted driving is just as dangerous as choosing to drive under the influence of alcohol. It’s not an exaggeration to say that driving drunk is as dangerous as checking a smartphone. Scientists have now shown that texting while driving is equivalent to driving under the influence of four beers. The human brain simply cannot handle multitasking, especially while operating heavy machinery. Indeed, some new scientific studies suggest that lawmakers in Washington might not be going far enough with their restrictions. One new study from the NSC found that using hands-free devices weakened areas of the brain that deal with focus and attention. Drivers who listened to spoken words with these headsets on were more likely to swerve in and out of lanes. Some of these drivers were even found to have decreased peripheral vision. Attorneys in Spokane have pointed out on their coverage of the Driving Under the Influence of Electronics Act that Washington’s existing law is around 10 years old and that distracted driving accidents have drastically increased in recent years. In addition to the NSC study, AAA did a test looking at how voice-activated driving systems affect the brain. AAA found that these built-in systems could delay a driver’s response time by as much as 27 seconds. But it isn’t only Washington that’s seeking tougher penalties for distracted driving. Lawmakers in Oregon are pushing for even stricter laws against using any handheld device while operating an automobile. If this bill passes in Oregon, drivers caught using a cell phone for non-emergency purposes could face a $6,250 fine. After repeat offenses, these drivers could face 5 years in prison plus a $125,000 fine. This bill is expected to be voted on in February. As of today, only 14 states have officially banned talking on a cell phone. 46 states have banned texting while driving.